It’s all about fortune some got space for gardening and some may not, if you are from those you got this opportunity to grow their own vegetables then it’s one of the wonderful ways to challenge yourself as a gardener and also to enjoy the results of your hard work. If you are lucky enough and have a little space in your garden, then why not allocate some space for a vegetable garden? Simply planting seeds of vegetable can let you start. Here you can see! Find a Space in your garden to locate a vegetable garden. It should be quite easy and both rain and soil must be good, with the right mix of compost, mulch and soil. Prohibit the use of pesticides and other harmful chemicals directly into the soil. Better to start in the spring season, when the cold begins to sink (it help you crops fertilized) as seeds do not grow in the soil, which is too cold or too wet as its needs a perfect nature. You have to start planting zucchini first if you’re a beginner otherwise go with your choice but have to carefully before selecting packets of seeds. Try to read instructions carefully written on the seeds packet and also to follow them. Now you have to prepare your soil. Digging with a hoe to make plots where you want to plant. It depends upon seeds which are to be putted deep or not. Just keep in mind smaller seeds don’t need to be putted deeply into the ground. If you try to put smaller seeds deeply, they will not germinate. And lastly you can water the soil a little. Another point to keep in mind is do not keep your seeds out directly from the packet. Keep them in your hand so you can plan how many can be planted in a plot. Now need to put a little layer of soil onto the seeds, but remember very thin. You can do by using back of a rake or hoe. Press the soil gently to keep seeds in place. Sprinkle in with a little water. Use a fine spray. Do not over water or risk getting drowned in the seed or swim with them in the water. End part of the plantation is now came, its optional. Labels can be putted on the number of seeds planted. 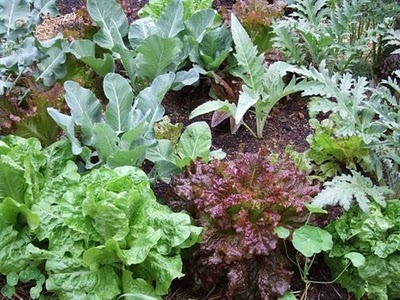 It can be helpful if you’ve more than one type of vegetable in your garden to recognize them what you have sown hold. For making logo’s you can find the seed packet, glue, stick and then a wooden spatula or another. Once the seeds begin to germinate, then you got to know what plant are, then you may remove the tags. Now the toughest part came after planting is maintenance, you can follow the instructions written on seed bags. Special care is being needed for every single vegetable. If you need further information or have a difficult time for the seeds, talk with other gardeners they will help you a side. But the easiest and informative section is internet; join some online forums for more information. Coating of vegetable seeds outdoors takes time and a little care, but the rewards are fulfilled and delicious! It’s not about eating vegetables you’ve planted and harvested but a fun!